Founded by a trio of security coders from Microsoft and Amazon, Bittrex aims to be the go-to exchange for advanced traders and institutions with support for over 190 different digital currencies. The exchange hangs its hat on performance, stability and security, but struggled to deal with the massive influx of new customers in 2017. Bittrex’s current interface, often described as laggy and graceless, may be replaced by a new trade engine that will allow advanced order types. There’s no official word on when it will debut. Bittrex’s founders have started to address its expansion issues by hiring some heavy-hitters to expand the executive team and ramped up hiring across the organization. To restore customer satisfaction, however, Bittrex stopped accepting new customers. Though new account registration is closed for the time being, residents of all countries can still sign up for Bittrex through private invitations. Founders are information security professionals. Supports more than 190 coins. Fast and stable cloud-based architecture. Executive team with Washington, DC connections. Available in states like Washington and New York that other exchanges skip. The interface is laggy and highly technical. 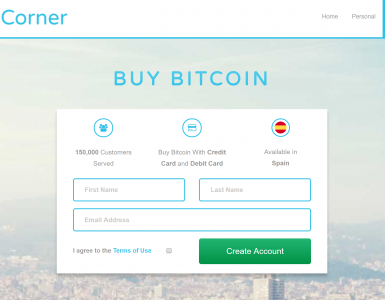 The founders lack digital currency exchange experience. What Can You Trade on Bittrex? Bill Shihara, Richie Lai, and Rami Kawach founded Seattle-based crypto exchange Bittrex in 2013. The three software developers had first met while working at Microsoft where they were involved in developing security solutions. In Lai’s Steemit account of the history of Bittrex, he explains how, shortly after launching their exchange, the founders met Ryan Hentz in the Bittrex IRC chatroom. 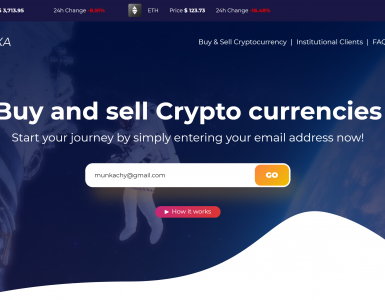 Hentz was the founder of a short-lived digital exchange called CryptoALTeX which shut down just a few months after it opened for business in 2014 due to lack of volume. Hentz became Bittrex’s first contractor, running the exchange’s support operations. As Shihara explained to the Unikrn Radio podcast earlier this year, he and his partners created Bittrex to address some of the issues they saw with bitcoin exchanges. The software running these exchanges didn’t seem to be very secure or scalable. In addition, the lack of transparency about the exchanges’ leadership wouldn’t inspire confidence or trust from more mainstream investors. Shinara and his team leveraged their experience developing enterprise-scale security systems to create the exchange in two months and announced Bittrex was open for business in early 2014. By the end of Bittrex’s first year, the exchange had handled more than ten million trades and signed up nearly sixty thousand accounts — without a single security breach. What makes Bittrex’s early growth even more impressive is that the co-founders ran it in their spare time. Through 2015 and well into 2016, kept their day jobs while running Bittrex from home in the evenings. The sudden influx of new customers that all crypto exchanges experienced last year challenged Bittrex as well. By the end of 2017, Shihara shared with CNBC, Bittrex had more than 3.8 million users and was signing up 100,000 new users a day. The average trading volume on Bittrex had reached $3 billion. The enterprise expertise that Shihara, Lai and Wachak applied to developing the Bittrex platform kept the trading system stable through that growth. They opted to use cloud hosting for Bittrex early on. When trading volumes accelerated, the cloud-based approach let Bittrex scale up at the same time. Their extremely lean operation, however, was not up to the task. It wasn’t until mid-2017, Shihara explained to Unikrn Radio, that Bittrex began hiring full-time staff. The verification process soon bogged down and customer support tickets went unanswered as the wave of new customers swamped the staff. Bittrex’s leadership team decided to stop on-boarding new customers last December. Cutting off the flow of new accounts is letting Bittrex and its growing team work through the backlog of verifications and support requests. Bittrex will start accepting new customers in the next few months once the issues are cleared up. That does not mean, however, that Bittrex will accept requests from everybody. The exchange will set requirements for account balances and trade amounts that will favor advanced traders over the general public. Today, Bittrex is Shihara’s, Lai’s and Kawach’s day job, not their side hustle. The three co-founders continue to develop the Bittrex platform, but as the company’s CEO, Shihara is Bittrex’s public face. Bill Shihara: Shinara worked at Microsoft for eleven years, rising to lead program manager of the software giant’s security tools group. He left Microsoft to lead security groups at Blackberry. During Bittrex’s early years, Shinara ran a security engineering team at Amazon. Richie Lai: Lai had a twelve-year security engineering career at Microsoft and managed security operations at Amazon while developing Bittrex. Rami Kawach: Kawach spent nine years at Microsoft and another five at software-as-a-service security provider Qualys. A brief stint at Amazon overlapped with the rise of Bittrex. Ryan Hentz, director of support and operations: Although not a co-founder, Hentz was Bittrex’s first hire and spearheads the exchange’s recovery from last year’s growth headaches. The hiring wave Bittrex started in 2017 did not just focus on staffing up the exchange’s support staff. Several heavy-hitters joined the company to help Bittrex integrate into the traditional financial system. John Roth, chief compliance and ethics officer: Roth spent decades working as an attorney for the United States government. Most recently, he served for several years as the US Department of Homeland Security’s Inspector General. Before that, he was the Special Counsel for International Money Laundering at the US Department of Justice. Kiran Raj, chief strategy officer: Raj also had a long career as a government lawyer. The former Department of Justice Deputy General Counsel was also a partner at the international law firm O’Melveny & Myers before joining Bittrex. Jim Waschak, chief operating officer: Waschak joined Bittrex from Amazon where he ran the e-commerce giant’s security engineering team. Prior to Amazon, Waschak was an IT director at credit card company Capital One. Jennifer Wood, vice president of communications: Wood’s career in communications spans public affairs positions in government (NASA, White House, EPA) and in the private sector (Kaspersky Lab, Blackberry). The founders’ ability to run Bittrex as a side hustle for so long meant they did not have to seek outside investors. Shihara told Unikrn Radio that after a few months of pitching venture capital groups, he and his partners decided focusing on their business was a better use of their time. In December 20, 2017, Bittrex Inc. bought Seed CX. Seed CX is an “electronic marketplace for institutional trading and settlement of emerging commodity products” that offers advanced trading features, like spot and derivatives trades. Many of the changes needed to bring Bittrex into compliance with federal regulation were already underway before Roth and Raj joined the company. Bittrex implemented more thorough know-your-customer (KYC) and anti-money-laundering (AML) processes last year to ensure that the exchange follows US laws. With more than 190 coins listed on its exchange, Bittrex is a popular venue for offerings of new coins. However, not every coin will make it onto Bittrex. Teams must pass a two-stage listing review process before Bittrex will list their new coins or tokens. First, they must submit an application through the Bittrex support system for a preliminary review. If everything checks out, Bittrex will ask the team for more information as part of its full listing review process. In his interview with Unikrn Radio, Shihara explained that Bittrex has three general criteria that the review panel applies. First, a coin listed on Bittrex must be innovative and enhance the crypto community in interesting ways. The review panel quickly rejects get-rich-quick schemes. Second, the offering needs to be credible. Bittrex evaluates the background of the team, its advisors and investors. Only projects with the talent and resources to deliver on their promises will make it through. Legal compliance is the final criteria. All applicants, for example, must provide a written legal opinion that regulators will not view the new coin as a security. Scam bounties. Bittrex pays out bounties to crypto “bounty hunters.” Currently, the scam bounty program is being led by @CryptoCobain. Vetted coins. Bittrex plans on releasing a new interface feature called “vetted coins.” The vetted coin designation will appear after an expert looks at a coin’s code and decides that it’s valid. Additional security checks. The Bittrex team will manually check their alt coins to make sure that double spending isn’t possible and perform other checks to make sure that all the coins in the marketplace are secure. Bittrex does not go into a lot of detail about its security procedures. Instead, the exchange uses the professional background of its founders and other executives to reassure customers that security is one of Bittrex’s differentiators. A combination of hot and cold wallets keeps as much as 90% of the assets Bittrex holds in secure, offline storage. Bittrex’s 2-Factor Authentication system is the only way customers can make withdrawals or make API-based transactions. As with many other crypto exchanges, Bittrex relies on a self-serve support website and a ticket-based email support system to handle customer support issues. Staffing levels have not reached the point that Bittrex can provide round-the-clock support for its global customer base. Support staffers are available during business hours Seattle time. Prior to 2017, Bittrex had developed a solid reputation among crypto enthusiasts. The scalable architecture Shinara and his co-founders developed provided a reliable and secure platform while good liquidity and extensive coin selection provided a good trading environment. Bittrex’s reputation, as with many other exchanges, suffered as its management processes failed to keep up with the 2017 surge in new cryptocurrency traders. The biggest gaffe happened in October 2017. Bittrex customers began complaining in online forums that their accounts had been suspended. CoinTelegraph pointed out that Bittrex’s silence on the matter alarmed crypto traders still skittish about the Mt. Gox and Bitfinex hacks. Bittrex released a general announcement several days later explaining that it had suspended fewer than 0.1% of its customer accounts while they were reviewed for compliance issues. Bittrex stopped accepting new account requests from most individuals back in December. The exchange still accepts applications from corporations and will make exceptions for “select invitees”. Once the newly-hired support staff clears through the backlog of support tickets and verifications, Bittrex will resume accepting new accounts. Bittrex’s operating area includes every country in the world except North Korea, Iran, the Crimean region, Syria, and Cuba. Operations in the United States are more fragmented. Twenty-nine US states and territories are considered “restricted markets” due to the way those state governments apply financial regulations to cryptocurrency exchanges. Residents of some of the most populous states — including California, Texas and Pennsylvania — cannot trade on Bittrex. You can find a full list of states classified as restricted markets in the Bittrex Terms of Service. New York residents, however, can trade on Bittrex. Most exchanges cannot do business in New York until they receive the state’s BitLicense certification. Bittrex was grandfathered in because it submitted its application in 2015. New York hasn’t awarded Bittrex a BitLicense, though, so there is still a risk that Bittrex could be forced to leave the state. Bittrex’s existing customers can have one of two levels of verification. People with basic accounts only have to submit their name, address and date of birth. Bittrex’s verification contractors conduct a public record search to confirm the account holder’s identity. Enhanced verification unlocks certain benefits for Bittrex customers, including higher withdrawal limits and wire transfer purchases of USDT. To get an enhanced account, customers must scan a government-issued identity and submit a selfie of them holding the ID. An automated process verifies the legitimacy of the documents. Read this knowledge base article for a detailed walkthrough of Bittrex’s verification process. Corporations are still eligible for new accounts. An online form initiates the process. Bittrex supports trades in more than 190 cryptocurrencies. In recent months, Bittrex has been weeding out altcoins that it believes may be “scam coins.” Information about which coins Bittrex intends to remove can be found in the Coin Information section of Bittrex’s support site. Bittrex does not support trades in fiat currencies. The exchange does allow wire transfer purchases of USDT, but only a subset of Bittrex customers can take advantage of it. The minimum purchase is $100,000 and the customer must have enhanced verification status. Trading of the more than 190 cryptocurrencies Bittrex lists happens through markets in Bitcoin, Ethereum (ETH) and Tether. There are 191 Bitcoin markets, 64 Ethereum markets and 16 Tether markets. Traders can manage their risk using tools like market and limit orders. Bittrex also lets traders automate their activity through the Bittrex REST API. All API-based trading is capped at 500 open orders and 200,000 new orders per day. You cannot make margin trades on Bittrex. The Bittrex web app or its API are the only ways to make trades and manage your account. Here’s a YouTube tutorial that explains how to place trades using the current interface. Bittrex does not have any mobile apps. As explained in the knowledge base, Bittrex does not charge fees for deposits or withdrawals of digital currencies. The biggest criticism lobbed at Bittrex is the high cost of trading on the exchange. Bittrex charges a flat 25-basis point fee on all trades regardless of its customers’ trading volume. Exchanges like Poloniex and Bitstamp, by comparison, offer fee schedules that can reduce fees for high-volume market makers to nothing. Bittrex is positioning itself as a member of the new establishment in cryptocurrency trading. The founders and top executives at this “next generation digital exchange” have decades of experience in enterprise-class security and regulatory compliance. That should put Bittrex in a strong position as US regulators begin integrating cryptocurrency into the financial regulatory system. 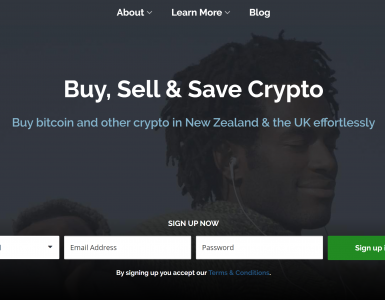 The exchange still has to learn how to support customers, however, and won’t be accepting new customers for several more months. If you do not have a lot of experience in trading cryptocurrencies or more traditional investments, Bittrex probably isn’t the exchange for you. The interface is complex and designed to meet the needs of advanced traders. In addition, Bittrex doesn’t accept any fiat currencies. Once Bittrex starts accepting new account requests, its expected minimum balance and minimum trade requirements will make the exchange unattractive to people first testing the crypto markets. High liquidity, an extensive selection of coins, and fast, stable systems made Bittrex a favorite in the crypto community. The exchange should regain that position once it works through its new customer issues. Bittrex’s lack of advanced order types and risk management trading tools is a potential downside. More importantly for advanced traders, especially high-volume traders, is Bittrex’s flat fee structure which is several times higher than competing exchanges.